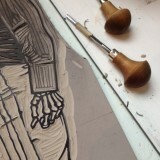 Linocutting can be a slow process. In recent years I have taken on more and more complex projects and each time I kick myself when I am several weeks or months in and the end is still not in sight. 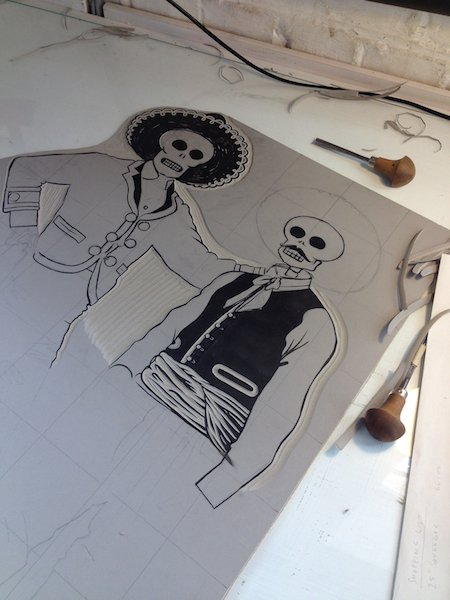 I am currently working on a pretty big linocut of a pair of Mexican cowboys. 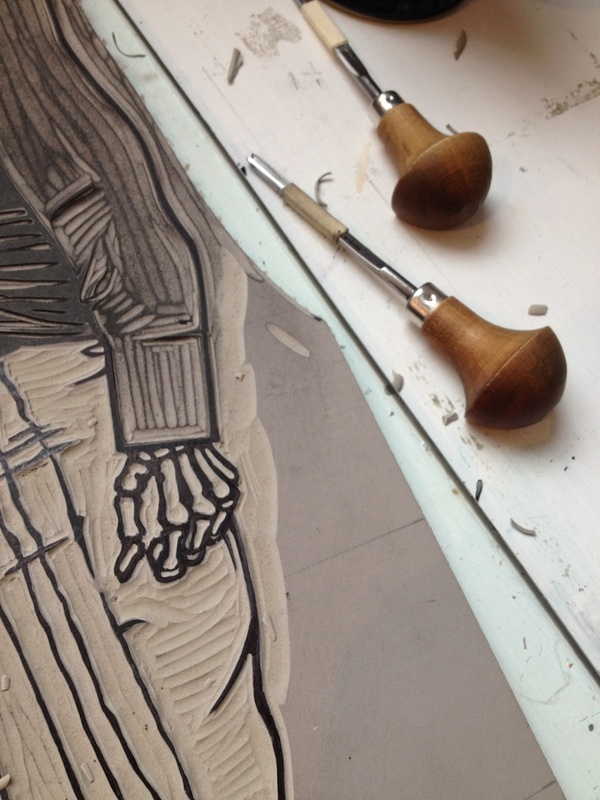 Due to other work munching up a lot of my time (including running Hello Print Studio in Margate) I seldom get more than a couple of hours at a time to sit down and carve. 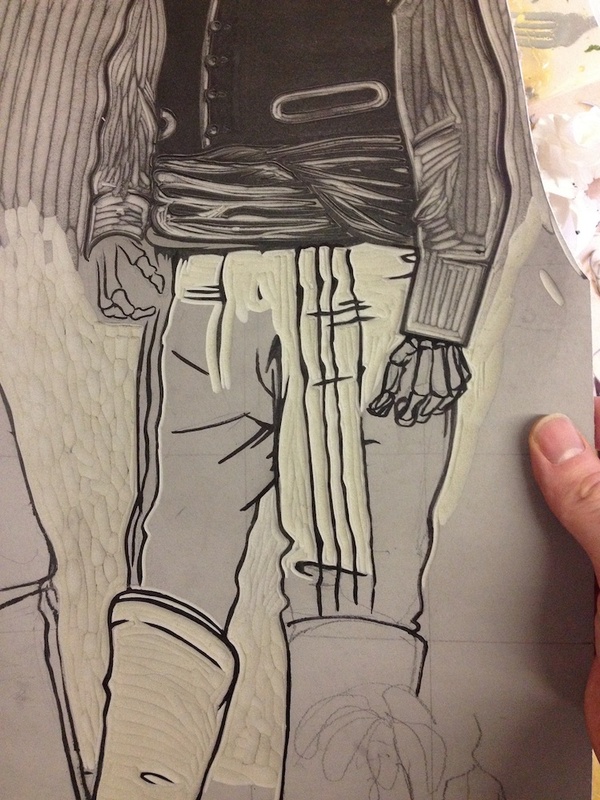 This past week, however, I have determinedly set about finishing off this linocut which I started about 6 months ago. Most of the design is finished, which just a few details to fill in. I tend to do this in stages, editing and adjusting as I go. 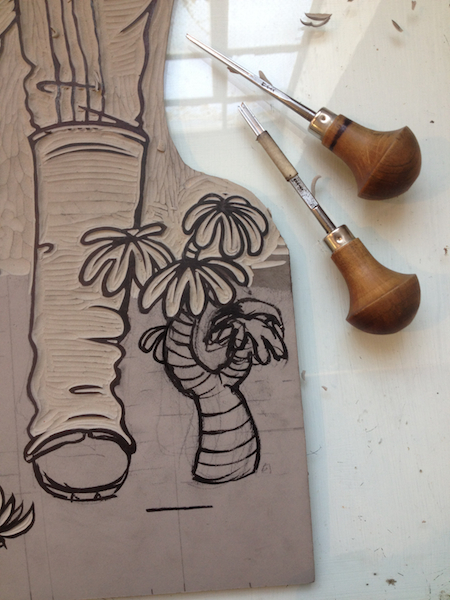 I draw the design out on paper first, transfer to the lino by hand and then re-draw the design until I’m happy. Once I start carving I make further refinements, allowing at least some of the marks to be determined by the tools themselves. Here are a few photos of the block so far. Hopefully I can have it finished by the end of February and then I will set about screenprinting some colours onto it. Ooooo this looks really interesting, I can’t wait to see the finished piece!